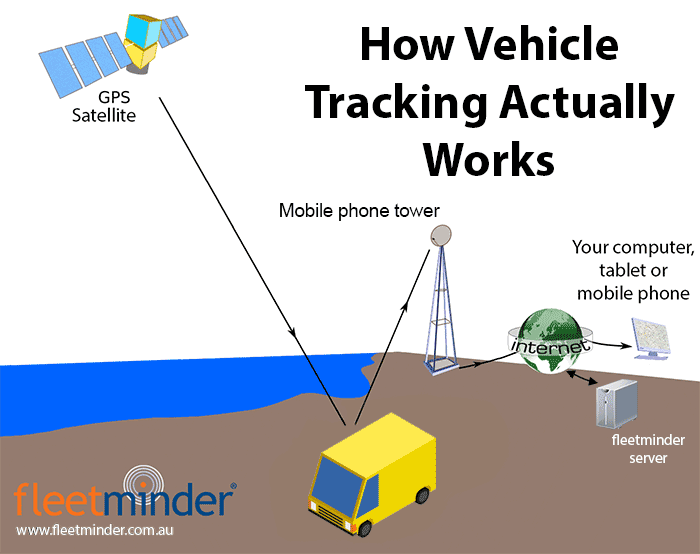 This is a simple guide to how GPS vehicle tracking works (in layman terms). We hope you find it useful. Let’s begin with the basic process of tracking. To track anything requires at least two reference points, usually better if the reference points can be seen from the ground. Hundreds of years ago, sailors used the stars in the sky as “reference points” for navigation. Today we have our own sky reference points – satellites. A specific satellite system for tracking was developed by the US military to monitor troops and military activities. Later on it was adapted for civilian use. 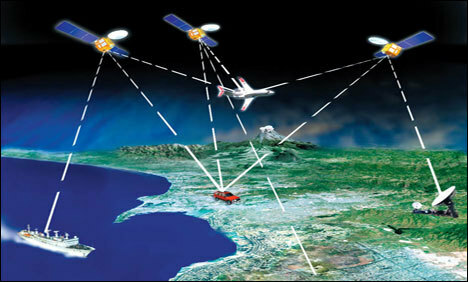 This system is called GPS – which stands for “Global Positioning System“. Most people have heard of GPS and if not, they would certainly be using GPS technology in their smart phones. Currently, the GPS system includes over 30 satellites that are orbiting the Earth that send signals to the ground. The position on Earth can be determined with any device containing a GPS receiver – including navigation devices like TomTom, smart phones (Android, Apple, etc) and GPS vehicle tracking devices. These devices run software (apps) or firmware to provide navigation, directional information, tracking, etc. To get the ground location, the GPS receiver must have access to at least three satellite signals (see diagram above). The same requirement is also true for vehicle tracking using GPS technology. Say we have a vehicle with a suitable GPS vehicle tracking device installed – such as one obtained from fleetminder. Here is what a vehicle tracking device looks like… essentially a plastic “box” containing electronics (GPS receiver, mobile phone system transmitter, etc). The vehicle tracking device calculates the current GPS location from receiving the GPS satellite signals. The tracking device (example above NxtG-V) then transmits the current location (of itself) usually to mobile phone network (towers) via the 3G / 4G frequencies. The rate of location messages (logs) can be programmed by the tracking device supplier (e.g. fleetminder). Typically the current location log is transmitted every three (3) minutes when the vehicle is moving and once every half our when the vehicle is parked (stationary). The location of the vehicle (with the vehicle tracker installed) is received by the mobile phone tower which then sends the information to the internet (to a specific server). Once on the internet, the location of the vehicle is available with secure access. 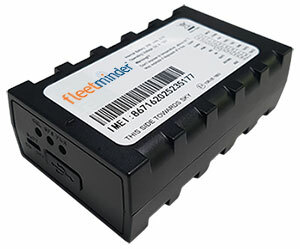 With tracking solutions provider fleetminder, the tracking device hardware and the receiving system – the fleetminder server, allows for users to see the location of their vehicle on their computer, tablet device or on their mobile phone using a mapping service like Google Maps. (A Google map showing the current location of the vehicle). The location of the vehicle can be then be used for vehicle theft recovery purposes, or for fleet management, or for future reporting on the vehicle’s use. Navigation and tracking has certainly come along way from navigating by the stars only a hundred years ago. We hope this article has helped you understand a bit more about how GPS vehicle tracking works.